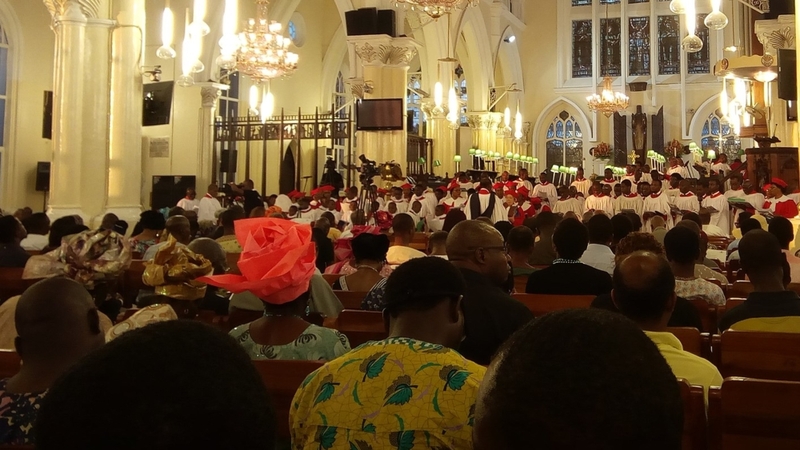 A cathedral church service in Nigeria. Christians in villages have been targeted by Fulani herdsmen. Muslim Fulani herdsmen killed ten Christians in southern Kaduna state, Nigeria on Saturday. During the past five weeks, 140 people have died with 160 houses destroyed, according to sources approached by Morning Star News. “We were all asleep in our various homes when at about 4 am [Saturday], we heard gunshots everywhere in my village,” Amos Samuel, 40, of Nandu Gbok village in Sanga County told Morning Star News. About 30 houses were burned in the attack, Sanga chairman Charles Danladi told Morning Star News. Danladi also said ten people were killed. Shehu Nicholas Garba – a member of Nigeria’s parliament, the National Assembly, and a resident of the area – said in a press statement that “about ten” people were killed and “about 30” houses were burned. The Kaduna Governor’s spokesman said on Saturday night that nine people died in the attack. Security agencies have been deployed in the area and Aruwan said State Emergency Management Agency has been directed to immediately provide relief materials to the affected community. In Kajuru County (also in southern Kaduna state), Muslim Fulani herdsmen have killed 130 Christians since February 10, sources said. Ungwan Barde village was attacked twice, resulting in the killing of 28 people, said Luke Waziri. An area attorney, Waziri also is national assistant secretary of the Adara Development Association, an umbrella body of the predominantly Christian Adara ethnic group. Another 102 people were killed in attacks on Karamai, Inkirimi, Dogonnma and Ungwan Gora, he said. “Kajuru land and by extension the Adara nation has been gripped by a fully funded and supported group of terrorists that have been wreaking havoc in our lands … while those saddled with the responsibility of securing us deliberately looked the other way,” Waziri said in a press statement. “First, Ungwan Barde was attacked on February 10, and nobody said anything; even though those in government knew. The herdsmen next attacked Karamai on February 26, killing 38 people, he said. A resident of Karamai, Paulina Irimiya, confirmed to Morning Star News that Fulani herdsmen attacked while Christians were at a church service. They killed at least 32 Christians and burned down 40 houses. Christians make up 51.3 per cent of Nigeria’s population, while Muslims living primarily in the north and middle belt account for 45 per cent. Morning Star News, printed with permission.